The Presidential line of succession tells us who ascends to the Presidency in the event of a vacancy in the Oval Office. 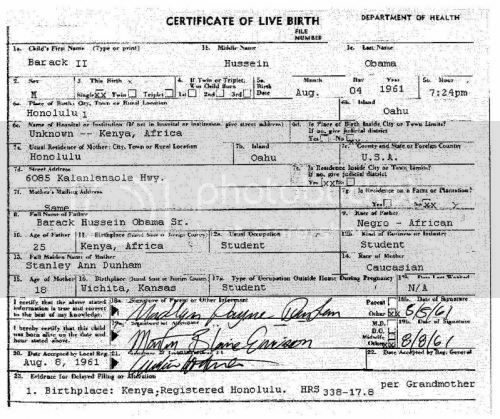 And in this, we once again find Birther claims refuted. Former Speaker of the House Nancy Pelosi was the daughter of an Italian immigrant mother. Current Senate President Pro Tempore Daniel Inouye is the son of a Japanese immigrant father. Secretary of Defense Leon Panetta is the son of Italian immigrants. Attorney General Eric Holder's father is from Barbados. Secretary of Agriculture Tom Vilsack was abandoned at birth in Pennsylvania; his biological parents' identities are unknown. Secretary of Labor Hilda Solis is the daughter of Nicaraguan and Mexican immigrants. And Secretary of Veterans Affairs Eric Shinseki was born in the Territory of Hawaii in 1942. That's just Obama's Cabinet. All of them appear as legitimate successors under the law, unlike the Taiwan-born Elaine Chao or the Czech-born Madeline Albright. Their parents' citizenship is irrelevant, and indeed is often not publicly stated, because it is irrelevant. There is also the tradition of the Designated Survivor, a Cabinet member who remains at a distance during public meetings of the nation's top leaders, such as at the State of the Union address. Only Cabinet members who are eligible for the Presidency can be named as designated survivors. And yet, Eric Holder was the designated survivor in 2009. More significantly, in 1996, the designated survivor was HHS Secretary Donna Shalala, the daughter of Lebanese immigrants. But most significantly, the person selected in 2000 to sit out the State of the Union address, the person who the White House specifically selected to take over the Presidency if Congress was nuked, was Energy Secretary and future Presidential contender Bill Richardson. Bill Richardson, whose mother María Luisa López-Collada Márquez was a Mexican citizen when he was born in 1947 and remains a Mexican citizen today. But Richardson was born in California, and that makes him a natural born citizen, like it or not. And that's not all. In 2003, President Bush had two designated survivors. One of those two was Transportation Secretary Norman Mineta, the son of Japenese immigrants. Not only were Mineta's parents not U.S. citizens when he was born in 1931, but under the Asian Exclusion Act, they were not even allowed to become U.S. citizens. But Mineta, like Richardson, was himself born in California. And that was sufficient for the Bush Administration to choose him as a Constitutionally eligible designated survivor. Yes, even the custom and practice of the Executive Branch itself, in the specific context of preserving and protecting the Office of the Presidency, contradicts the Birthers' claims. 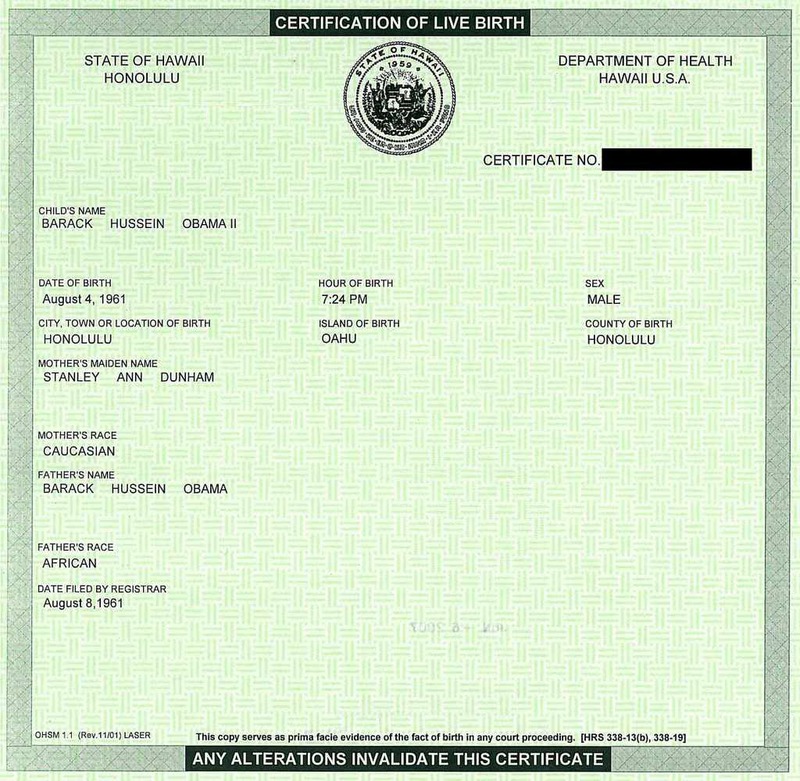 Where are the Herman Cain Birthers? Since November 2008, Joseph Farah has wanted Barack Obama to quell Farah's doubts about Obama's eligibility. Among his reasons for being skeptical from the very beginning: the lack of a produced long-form birth certificate, the identity of the birth hospital, and conflicting reports on the specific location of his birth. Now in 2011, a new election is around the corner, and Farah has a new "favorite" candidate: Herman Cain. Curiously, however, Mr. Farah is failing to exact the same level of scrutiny upon Cain as he did upon Obama. We have no proof of where Cain was born at all. We haven't seen Cain's long form birth certificate, or even his short form. We don't know what hospital he was born in. We have no proof of who his parents were. 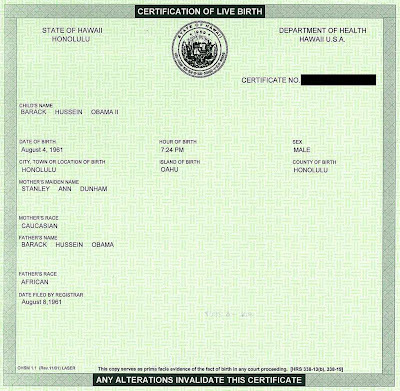 We haven't seen any birth announcements, hospital records, school records, college records, passport records, medical records, or baptism records. "But," as the objection is liable to be, "there is no doubt or question as to where Herman Cain was born." Really? There isn't? According to various news stories, Herman Cain was born in Memphis, Tennessee. Similarly, according to Wikipedia, Herman Cain was born in Memphis, although no authority is provided for this assertion. Indeed, for years, Wikipedia flatly stated that Mr. Cain was born in Georgia. But the unfamiliar has seldom proved to be a hurdle for the Atlanta-born 42-year-old, who broke into food service only six years ago as a "Whopper flopper," manning the grill at a Burger King unit. But the crowd was waiting for the official announcement from Atlanta-born Cain himself. Born in Atlanta, Cain cooked up a career that landed him in the position of CEO of the National Restaurant Association. The Georgia-born Cain, the only African-American GOP candidate, has had broad experience as a businessman, media celebrity and fiscal expert. Is Georgia-born Herman Cain ready for the grueling spotlight of a presidential campaign? Mr. Cain is a Southern man, born in Georgia, who probably has a better understanding of the Bull Connors of the world than the Harlem native Mr. Rangel. Cain was born in Georgia and grew up there. While Herman Cain's popularity is increasing outside Georgia, the Atlanta native is the runaway leader in his home state. The other Georgian in the race claims to have been born in Georgia, though birthers haven’t yet started asking for his birth certificate. Herman Cain most recently has been a talk show host for WSB radio in Atlanta, but also has served as the CEO of Godfather’s Pizza and executive positions with Pillsbury and Coca Cola. Indeed, this alone represents far more American news sources that disagree about Cain's birthplace than have ever disagreed about Obama's. 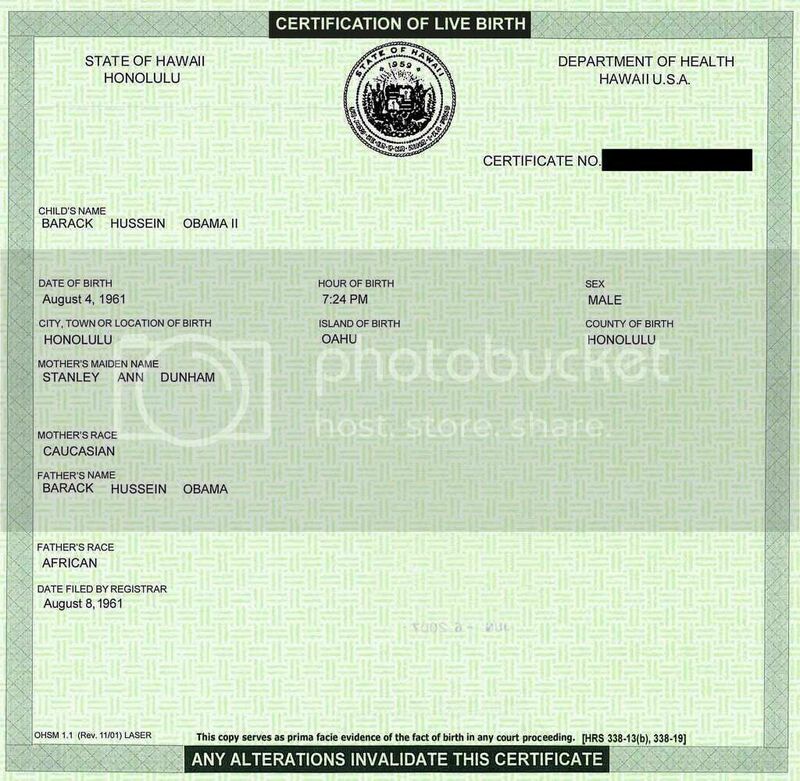 WorldNetDaily regularly argues that there were inconsistent reports as to what hospital Obama was born in; but news sources, major news sources, cannot even agree on what state Mr. Cain was born in. When, then, can we expect Joseph Farah, WorldNetDaily, and the rest of the Birther community to hold Herman Cain to the same standard they have applied to President Obama for the last three years? When are they going to demand that Herman Cain prove his eligibility for the Presidency? When are they going to start asking "Where's Herman Cain's Birth Certificate?"